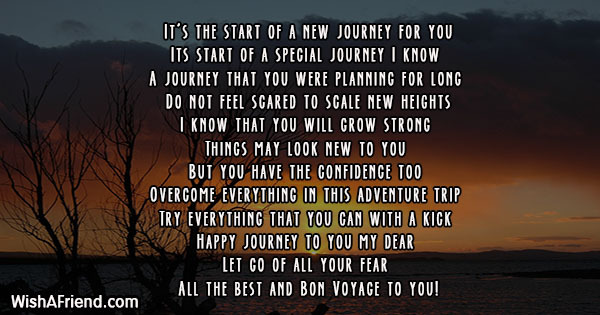 Wish someone a happy journey with these beautiful poems. Share them via Facebook, Whatsapp, Twitter etc. Have a good trip ahead! So have the most amazing time of your life! Make the most of your wonderful trip! So have a great time ahead! Have fun on this trip! 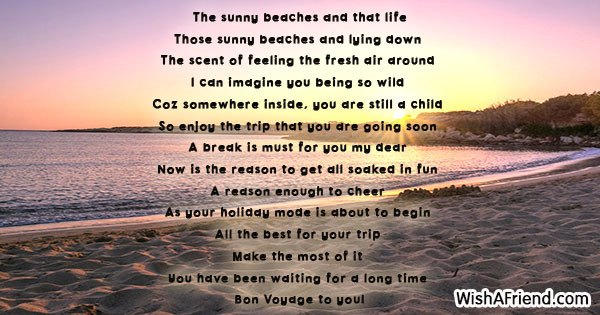 All the best and Bon Voyage! 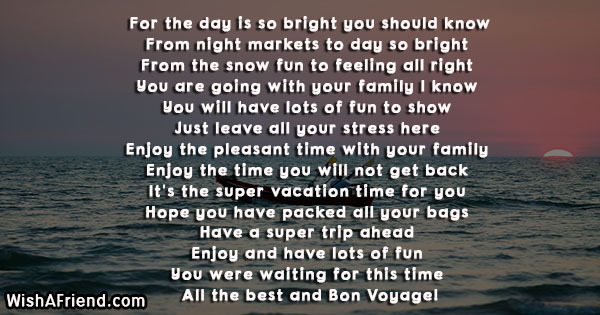 All the best and Bon Voyage to you!